The release of FIFA 19 is imminent and fans are eagerly looking for details on the next instalment of EA Sports’ highly popular football game. The game’s developers launched a World Cup 2018 edition on FIFA 18 to accompany the tournament in Russia and it won’t be long until the next game in the series hits the shelves. With the big release set for September, Goal has the complete guide to everything you need to know about the latest EA Sports FIFA game. When will FIFA 19 be released? There had been talk that there might not even be a FIFA 19 release, with EA Sports chief executive Andrew Wilson stating in a recent interview with Bloomberg that the title could move to a Netflix-style subscription service . But EA Sports has confirmed that the game will be released globally on September 28, which is consistent with previous release dates and ideally timed before the festive period. Like FIFA 18, there will be three different editions: the standard edition, Champions edition and Ultimate edition. The latter two editions replace the ‘Ronaldo’ and ‘Icons’ editions of FIFA 18. Gamers have the option of getting the game three days early – on September 25 – by pre-ordering, which also carries some quirks depending on what edition you purchase. Gamers who pre-order the game will receive some extra FIFA Ultimate Team (FUT) player packs to bolster their new team on the popular game mode, with the more expensive editions yielding greater rewards. Who is the FIFA 19 cover star? 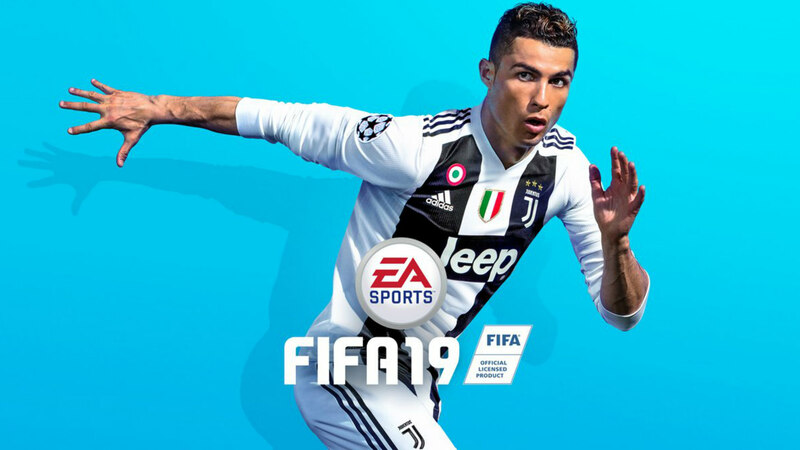 As mentioned, the cover of FIFA 19 will feature Ronaldo for the second year in a row, with the Portuguese heavily involved in the promotional content. However, the recent transfer of the 33-year-old to Juventus threw EA Sports a curveball, since the original imagery showed the forward in his Real Madrid kit. However, that was changed shortly afterwards. Ronaldo will share the spotlight in the new game as he is joined on the front of the Champions and Ultimate editions by PSG’s Brazilian talisman Neymar . Having two players on the front cover is a slight reversion in style for the FIFA series, which preferred a single player on FIFA 17 and FIFA 18. What new leagues are in FIFA 19? After nearly a decade of jockeying, EA Sports has finally secured the rights to the UEFA Champions League , with the cherished competition set to be carefully integrated throughout FIFA 19. Scheduled for global release on September 28, FIFA 19 won’t simply add the Champions League trophy to its cabinet, instead re-turfing the whole pitch to ensure the tournament is woven thoughtfully throughout the whole game. From Ultimate Team to Journey, the Champions League will be front and centre of FIFA 19 and as executive producer Aaron McHardy explains it’s an addition many years in the making. “This has been one of the most requested features from our players for over a decade, and for us the Champions League is so much more than a licence,” McHardy told Goal . “We’ve been working really hard to integrate the experience across the game in FIFA 19 and I don’t say that lightly. “We didn’t want to just bring in the licence teams so you can play with them in the right context, we really wanted to go over and beyond and add Champions League elements to every place we could in FIFA 19. As well as the Champions League, FIFA 19 will also include the Europa League , UEFA’s second-tier club competition. While it is not as glamorous as the Champions League, the Europa League has featured some of the best teams in the world, with the likes of Chelsea, Arsenal and Sevilla set to compete in the 2018-19 edition. EA Sports has indicated that the new game will have an ‘active touch’ feature, which will change the way players receive and strike the ball, as well as a ‘reimagined tactical system’ and 50/50 battles. It’s not concrete yet, but ‘dynamic weather’ could finally make an appearance in FIFA 19. The introduction of ever-changing conditions could alter the momentum of games, with elements like rain and snow likely to cause players to make mistakes and pick up injuries. What people really want to see, however, is an improvement in server performance – even real life teams’ eSports gamers such as New York Red Bull’s Mike LaBelle have made their frustrations known. Since the release of FIFA 18, the gaming community has grumbled that the servers are too unstable, causing disconnections midway through games that result in a DNF (did not finish) modifier, which affects rewards from future matches. The popular Ultimate Team mode will continue in FIFA 19 and there will naturally be some slight alterations. With the Champions League and Europa League featuring heavily in the new game, EA Sports has indicated that there will be live content updates from those competitions in Ultimate Team. EA Sports has also confirmed that it will disclose pack odds so that gamers will have a better idea of what they are getting. “For Ultimate Team, when you buy a pack you know what you are getting,” EA’s vice-president Daryl Holt explained to Eurogamer . “You are getting a certain number of assets that are guaranteed – and we’re going to start to do pack odds disclosures that’ll show you the odds of what you might get. EA Sports introduced ‘Icons’ to FIFA 18, with some of the greatest players in history gracing the game. The Icons concept replaced the earlier ‘Legends’ that had featured in previous instalments and the players became available in Ultimate Team, meaning squads could now blend the past and present. Among those to take their place in the FIFA series as Icons in FIFA 18 were Diego Maradona, Thierry Henry and Ronaldo. FIFA 19 will feature some new Icons and EA Sports has revealed a number of them in the build-up to the big release. Former Italy and Juventus star Roberto Baggio joins the ranks alongside his compatriot, 2006 World Cup winning captain Fabio Cannavaro. Other new Icons include Raul, Rivaldo, Steven Gerrard, Eusebio, Frank Lampard, Claude Makelele and Johan Cruyff. We will see a return of hugely-popular mode The Journey, which will be making its third appearance in a row. However, it is going to be the final instalment in Alex Hunter’s odyssey. The character made his first appearance in the game series in FIFA 17, in which the aim of the game is to make a breakthrough at a Premier League club. In FIFA 18, Hunter returns, but his journey takes him to Major League Soccer side Los Angeles Galaxy before he later returns to Europe. The FIFA 19 Alex Hunter story is called ‘The Journey: Champions’, in keeping with the game’s new Champions League features and winning the biggest prize in club football is the aim. The FIFA 19 soundtrack features some of the biggest artists in the music industry, including Gorrilaz, Logic and Childish Gambino, whose featured track ‘Feels Like Summer’ is a particular highlight. The soundtrack aims to reflect a diverse array of music drawn from every corner of the globe and there are musicians from Germany, Australia, Scotland, France among others. The composer brought 68 “carefully picked” musicians to AIR Studios in London to record the new song, which is essentially a remix of Tony Britten’s instantly recognisable original. Zimmer’s Champions League song for FIFA 19 can be listened to in the trailer and in the video above.